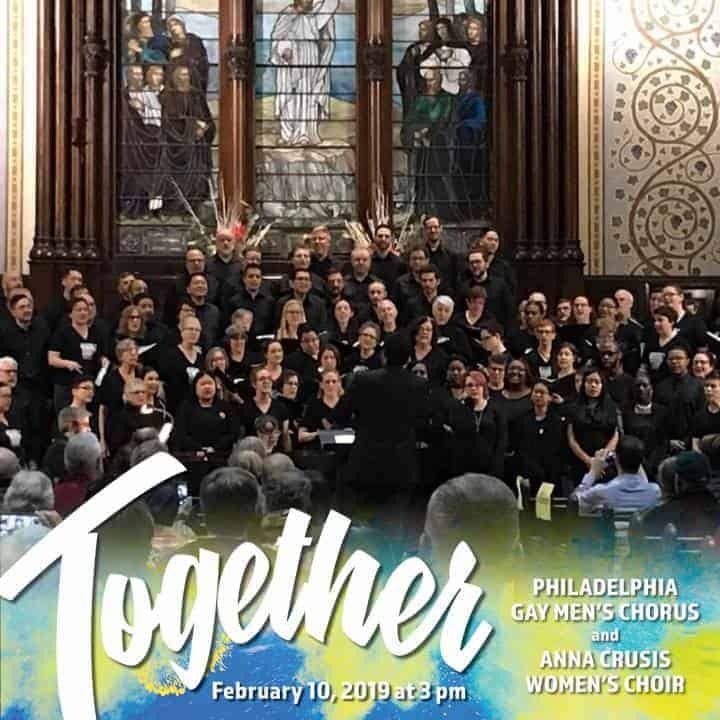 You just never know what will happen when both Anna Crusis Women’s Choir (ANNA) and the Philadelphia Gay Men’s Chorus (PGMC) get together for a community concert. One thing for sure, it’s going to be a good time for all. Extra added bonus the event will feature “The Silvertones” of Strath Haven High School. What better way to spend a Sunday afternoon, than to bring your family and friends to hear music of Paul Simon, Broadway and Hollywood tunes, folk songs, fun songs, and music that, we promise, will inspire and lift you up high. And it’s free! So join us. You’ll be glad you came out of the cold and into our hearts.